Inside and outside of the beer fermenter is all stainless steel. customers requirement and transfer conditions. Tank shell thickness: 2mm or more (according to the design or customer required). Pressure (MPa): atmospheric pressure-middle pressure, according to International standard. 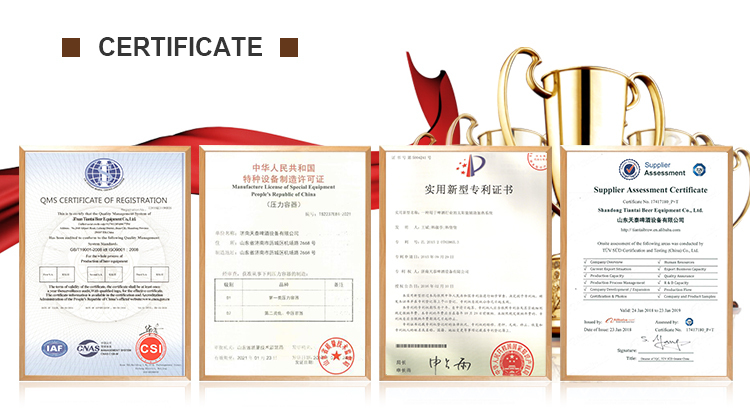 Work plate form: design all kinds of plate form according to your requirement. auto polishing machines and cooperating with international famous finished. 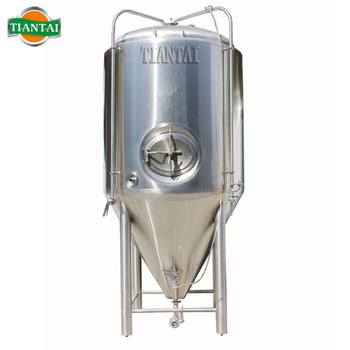 All of our brewery and brewery equipment are brand new manufactured in our factory in China. 1. Main tanks, vessels and machines will be packaged with painted steel frames. 3. All items wrapped with soft package for protection. 5. 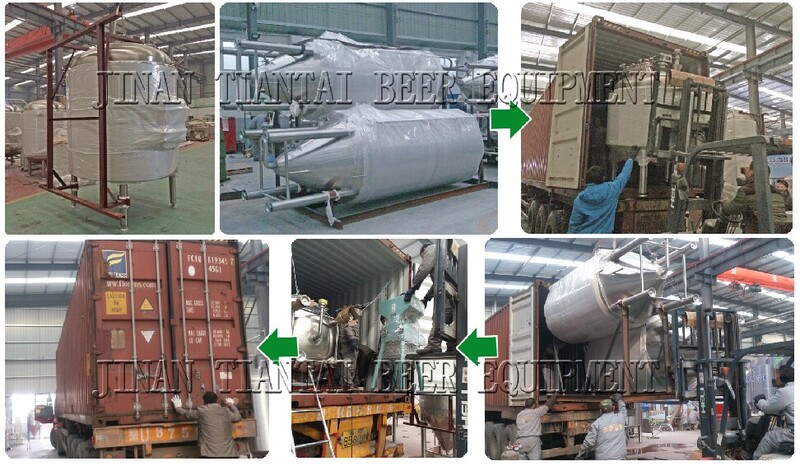 All equipments will be loaded into containers according to exact container layout drawings. 6. After loaded into containers, all equipments will be well fixed to the containers. you’ll need to start brewing your special recipes in no time. 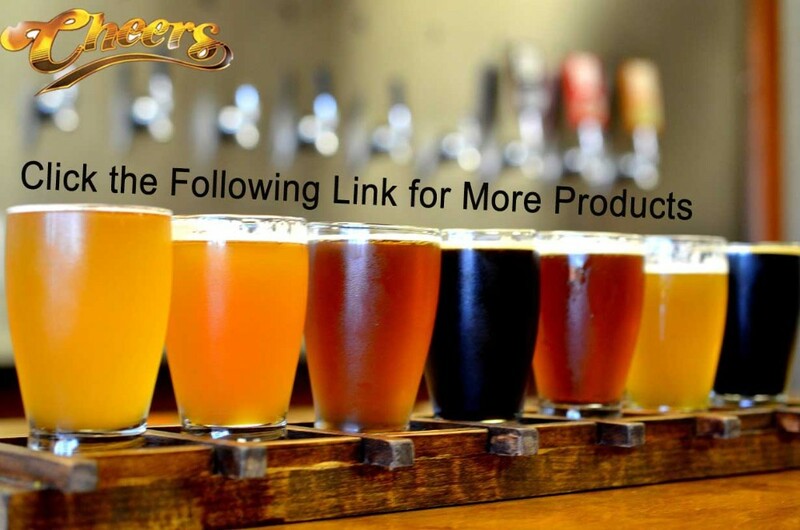 manufacture, installation and commissioning of various beer equipments and supporting facilities. 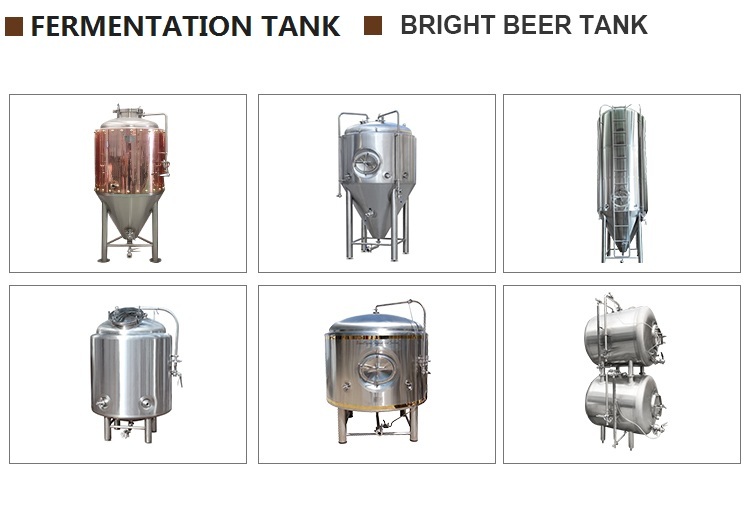 and refrigeration equipment for small and medium-sized brewery, hotel, pub and etc.